City of Tombstone – battle your competitor from room-to-room or out in the open in the streets of the wild wild west. Firebase Alpha ? places you in a surrounded base that you have to fight your way out of to survive. Speedball ? 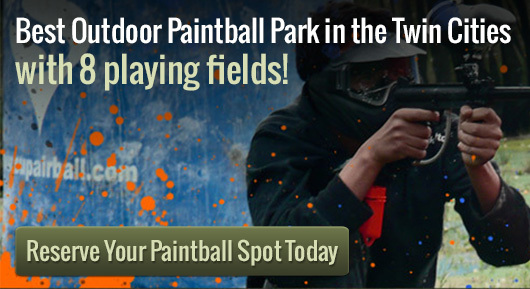 gets your adrenaline pumping as paintballs wiz by you head in a big open field. Civil War ? line up in your battle line and wait for the explosions to happen as you take down as many on the other side as you can. The Jungle ? go deep into the jungle and survive by outwitting your opponent. Woodsball Fields ? use your stealth and concealment skills to survive, while you keep from getting ambushed. You are bound to have a great time at Action Packed Paintball Games, just choosing which game you want to do first will be challenge in itself. With our vast array of amenities and services you can?t go wrong. We also offer private paintball games and walk-on play for individuals or groups who have less than 8 players. Make a reservation for a party with our awesome group specials. It doesn?t matter what it?s for; birthday parties, bachelor parties, youth groups and corporate events, we have it all. For you serious arena paintball players don?t forget to check out our season passes. Not only are we extremely reasonably priced but you can also use them at other facilities.